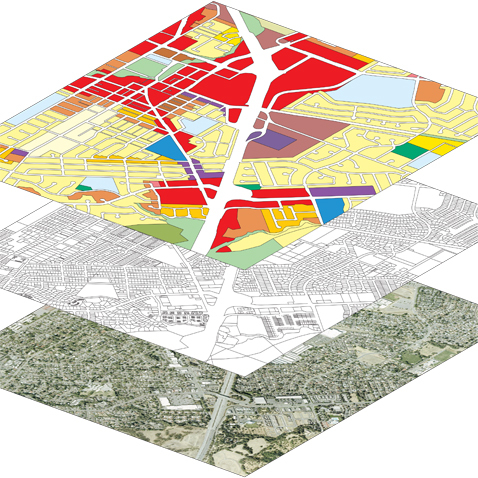 Dyett & Bhatia has developed customized software for web-based interactive zoning ordinances and zoning maps. The GIS-based interactive zoning map is designed for any user—City staff, developers, architects, or the general public—to explore zoning information on both a citywide and location-specific basis. 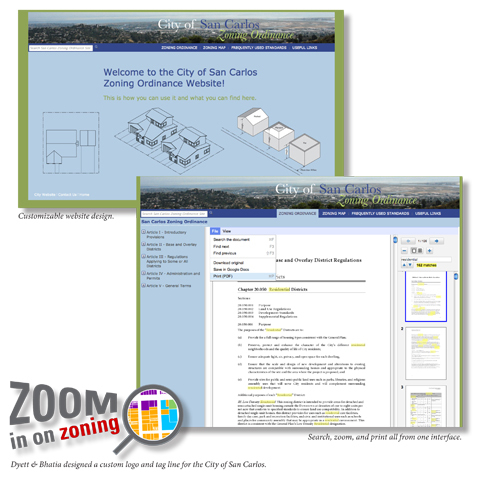 Users can search zoning information by address or parcel location. 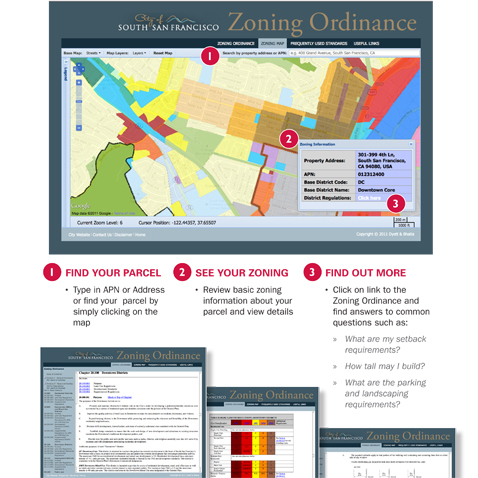 The interactive zoning map also includes hyperlinks to relevant sections of the Zoning Ordinance and other applicable information. 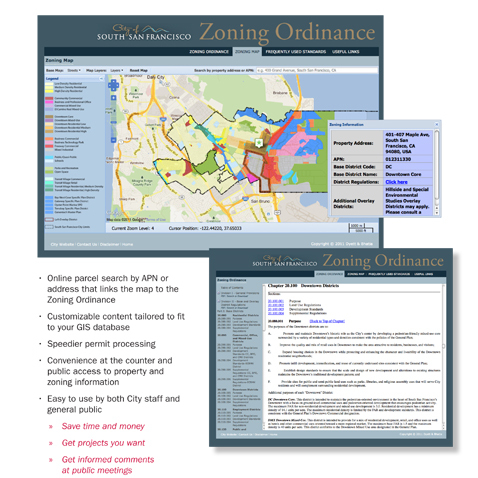 The interactive ordinance is easily navigable with hyperlinks and drop-down menus, linking to various sections of the Ordinance, including cross references, application forms, definitions and rules of measurement.